The decision came against the background of celebrations of the controversial January 9thStatehood Day in Republika Srpska, the autonomous and predominantly Serbian entity of Bosnia and Herzegovina. The date has long been a subject of discussion in the ethnically divided country. On that day, in 1992, the Republic was proclaimed by the leader of Bosnian Serbs, Radovan Karadzic, who was later sentenced to 40 years in prison for war crimes. Republika Srpska was recognised as an autonomous entity only in the wake of the 1995 Dayton Agreements. Therefore, Bosniaks regard the date of the celebration as the prelude to the war that broke out later the same year and culminated in the Srebrenica genocide. Republika Srpska, celebrated the holiday along the 25th anniversary of its foundation, despite the fact that Bosnia and Herzegovina’s Constitutional Court found it “anti-constitutional”. 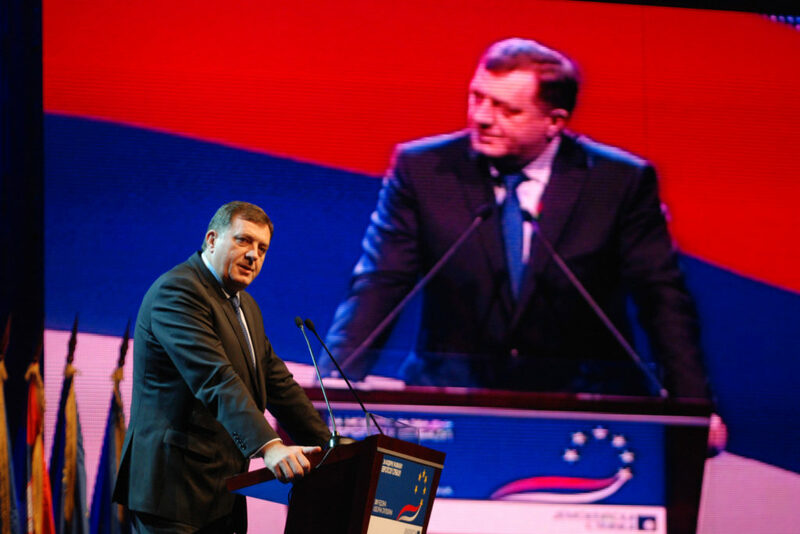 When initially calling for the September 2016 referendum on the establishment of the holiday, Dodik explained that the national court in Sarajevo had, “continued to ignore the Serb people’s interests.” “They cannot halt our decision,” he said. “We will vote in the referendum. We will show that the citizens of the Serb Republic stand by its holiday,” he continued. 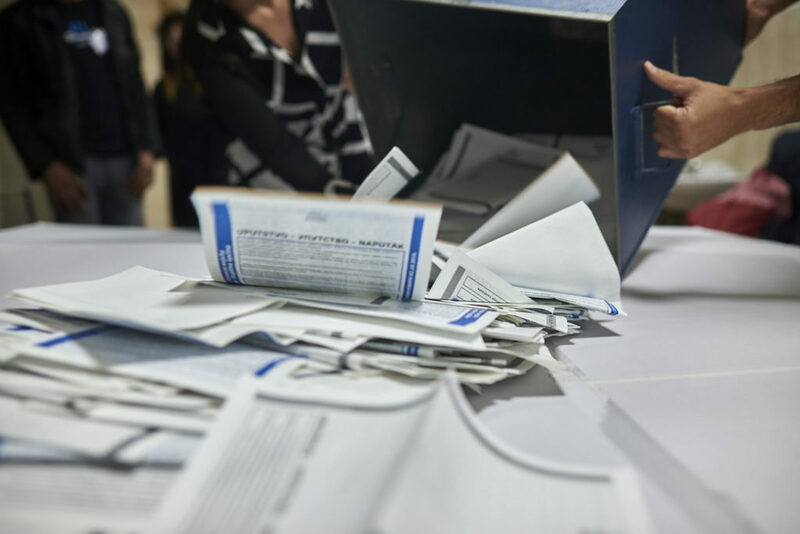 The request for a referendum was eventually supported by 64 out of 83 deputies, deepening ethnic divisions in Bosnia and Herzegovina. The event was also attended by the president of Serbia, Tomislav Nikolic, and ministers of the Serbian government. Also present was Aleksandar Karadjordjevic, the alleged heir to defunct throne of the Kingdom of Yugoslavia. Patriarch Irinej of the Serbian Orthodox Church delivered a liturgy. The day before the events, he stated: “It is my pleasure to participate in the big celebration of Republika Srpska,” and added that the entity’s creation was “the work of God.” Serbia’s prime minister, Aleksandar Vucic, did not attend. 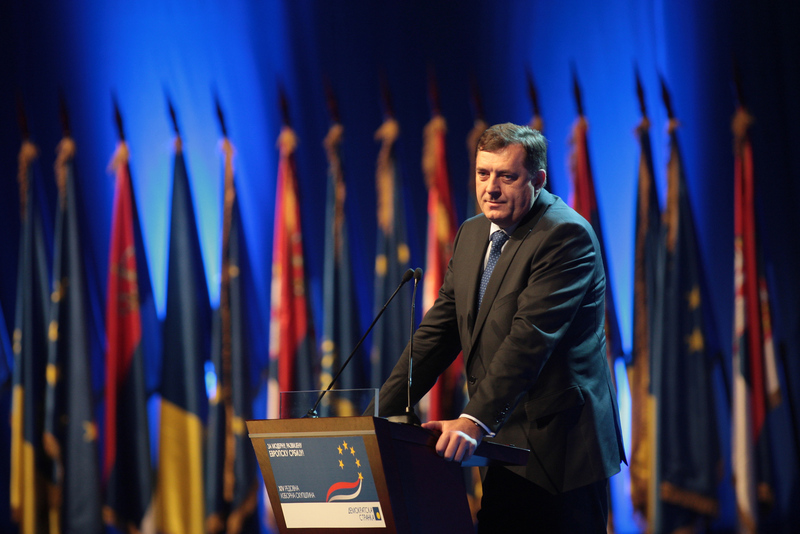 During the celebrations, Dodik attacked Bosnia and Herzegovina calling the country “a project with no future” and the only viable solution, in his opinion, would be a “peaceful divorce along ethnic lines”. His words alarmed diplomats from the European Union and the United States, who stressed the need for political and economic reforms and advised political leaders to abandon divisive rhetoric. On the day of the ceremony, Valentin Inzko, the Austrian High Representative, compared Republika Srpska’s Statehood Day to the establishment of the Independent State of Croatia (NDH) in the wake of the Second World War. The NDH was allied with the Nazis and ran death camps where the mass murder of Serbs, Jews, and Roma took place. Inzko further asserted that such a celebration is against the spirit and provisions of the Dayton Peace Agreement. On January 10th, Inzko stated that only the Dayton Bosnia and Herzegovina exists as far as the international community is concerned. “If we were to start celebrating holidays like January 9th, then some could think of also celebrating, for example, April 10th, the day when the Independent State of Croatia was founded,” he added. The way in which the events have unfolded highlights the Balkans’ issues in fostering a multi-cultural coexistence, even within the Dayton framework. Dodik’s will for even greater independence may question the Agreements and may cause other similar requests across the Balkans and inside Bosnia-Herzegovina itself (with the possibility of the Croat entity eventually asking for autonomy). Therefore, what is immediately certain, is that the region is lacking in strategies that would help to address the current issues, which in turn could lead to troublesome calls for further partitions. Antonio Scancariello holds an MA in journalism from De Montfort University, UK.